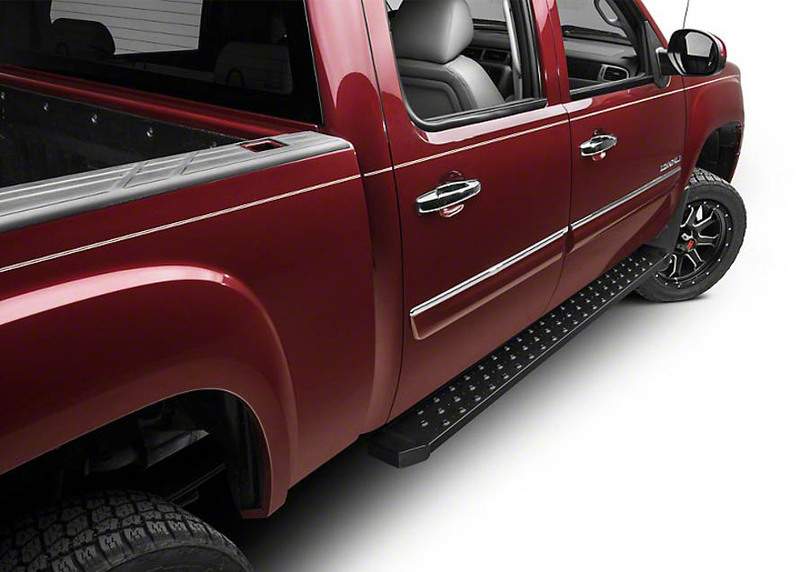 One set of steps can add a giant leap in the appearance and accessibility of your Sierra. The addition of either side steps or running boards is always a great upgrade to add on to your build. Select the perfect set to add to your truck and protect the interior and exterior of your rig. Stepping directly into the cab of a full-sized Sierra can be a bit of a clumsy task, even on stock height trucks. Not only can it be awkward, but it can be a lot of wear and tear on the edges of the seats. Side steps and running boards are the solutions to this clumsy task. Not only are they functional, they are also a major styling cue. 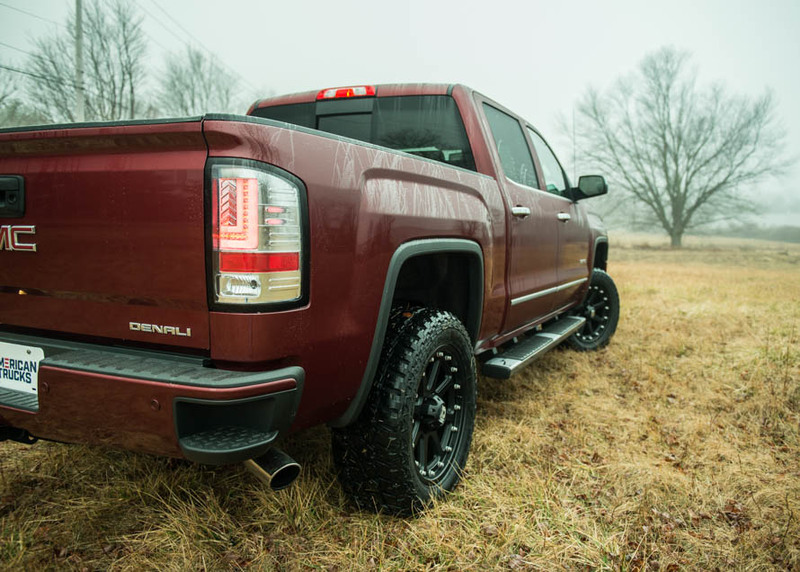 We’re going to take a look at the different options on the market for your GMC Sierra. Before getting started it’s important to understand the differences between side steps and running boards. Though both are intended as a step into the vehicle, they have some key features that separate them. Knowing the basic differences may be the only piece of information you need when deciding what you want for your truck. 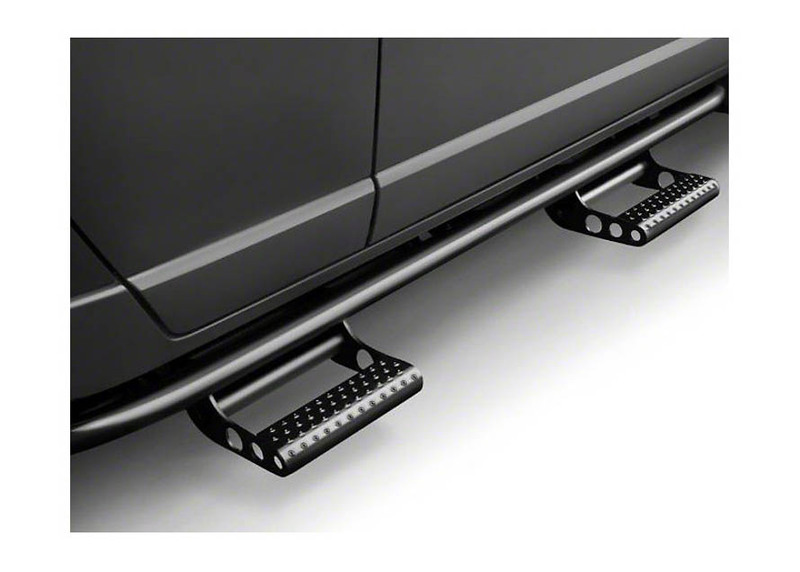 Running boards are flat in design, though they have a fairly wide profile, and they are usually formed to fit closely to the body of the truck. This gives it a much cleaner, more factory appearance. From the factory some Sierra 1500s arrive with running boards. This isn’t to say they only come in subtle fashion. Rugged textured and even modular types are available. Again the price point on these steps can be considerably higher than the bar type side steps, but they make up for it in their tighter more natural look. Side steps are the more popular option. This is mainly because of the more economical price point. These are tubular or bar like in design, and only a portion of this step itself is designed as the actual step. The tubular design is what gives side steps their limitations. Designated step areas are easily located by a raised textured step pad. One major factor separating this type of step from running boards is the width changes. 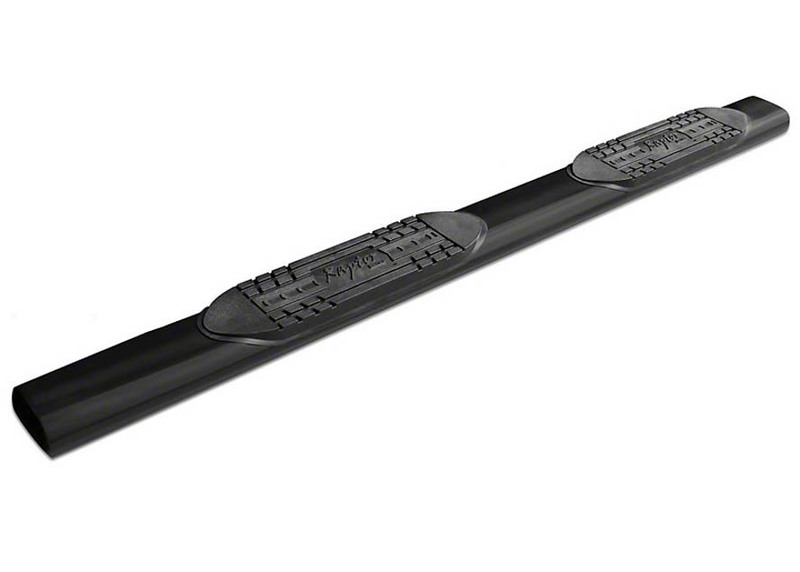 At minimum step bars are available in 3-inch width, and can range up to as wide as six inches. The wider the bar, the wider the step area. Also, once reaching past 3-inch bars they go from a round option to an oval option. As you move up in size your price tag move with it. By the time you start considering a 6-inch wide oval step your price tag will be about that of a running board. This makes the choice more about style and preferences than anything. Back in the day the option of step side bed options were available for GMC pickup trucks. Those days are long gone, and for 2007 and newer trucks, the only way to the bed of the truck is the tailgate. This is pretty limiting, especially when it comes to work trucks. For guys who need the modern Sierra and full access to the bed, Wheel-2-Wheel type of running boards and step bars are available. Typical Running boards and step bars run the length of the cab and that’s all. They are designated to be used when hopping into your seat. Wheel-2-Wheel bars run past the length of the cab and to the bed of the truck, as well making them the perfect solution for the guy who needs full access to the bed. 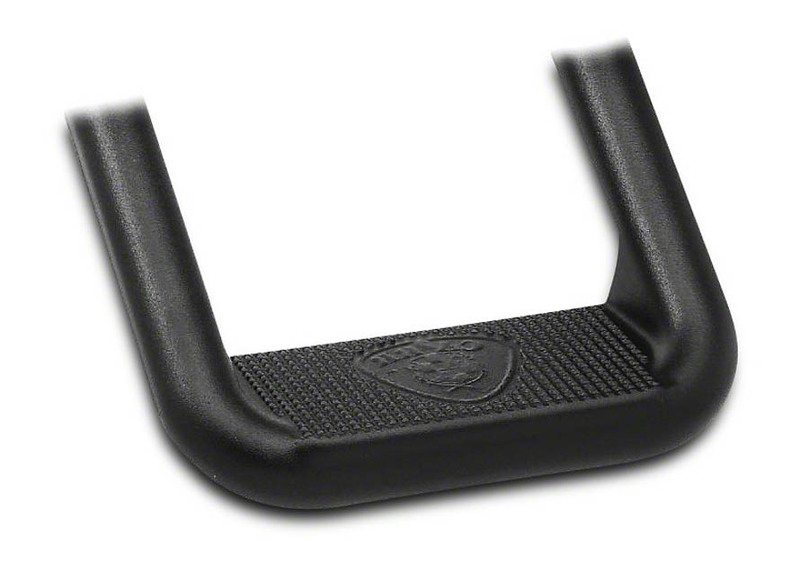 Drop steps are another feature that can be found on some running boards and step bars. Your basic design of boards and bars use the top surface as your stepping location. This only really extends a few inches past the door sill. In some cases, those few inches are a world of difference; in others, not so much. Sierras from the factory already sit pretty high. If you have a lift kit is installed, it can create quite the task to reach that running board. Drop steps give you an even lower step area, and are the answer when it comes to that even higher door sill. 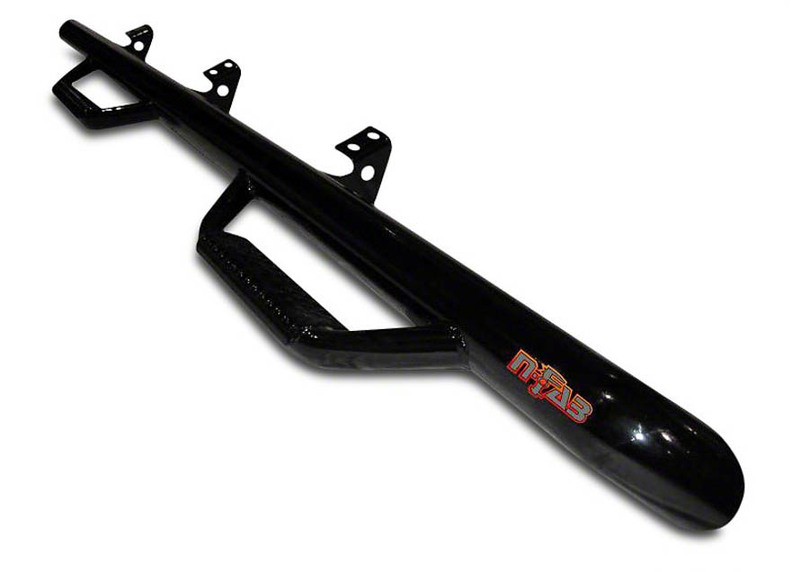 Running board and nerf bars do give an extra step surface, but the price point can be less desirable to some. For those who just want the lower stepping surface without breaking the bank, hoop steps are the perfect solution. Hoop steps are very basic in design. As opposed to extending the length of the cab they are simply a step mounted directly beneath the desired door. They are simple and cheap, and, if properly selected, they can be quite stylish. When looking at colors and designs, it’s important not to overlook the design of the step pad itself. you need to consider not just how the truck looks but how you plan to use it. Aggressive tread patterns are available. Why is this necessary? For scraping mud and debris off your foot, of course. GMC Sierra 1500 trucks will be used for work and play. Both scenarios will get your boots dirty and when mud is packed into the treads of your boots and step pads you might as well step on a sheet of ice. Steps with aggressive tread patterns will prevent you from losing your step and possible even injuring yourself. Drop steps do an extra fine job at this making them an excellent option for multiple reasons. Anything on you truck’s exterior will be subjected to a considerable amount of harsh conditions. Whether it’s moisture or salt, you need to know that something you’re going to put your body weight on isn’t going to rot out on you. Reputable brands have taken this into consideration. Basic finishes will be polished stainless steel and powder coated black. Both have stood the test of time over the years, which is why they’re available from most brands. Textured finishes are also available. This means a thicker layer of protection is applied. This thick layer protect it from typical conditions as well as impact.